4 Bedroom Detached House To Rent in Dorchester for £1,500 per Calendar Month. 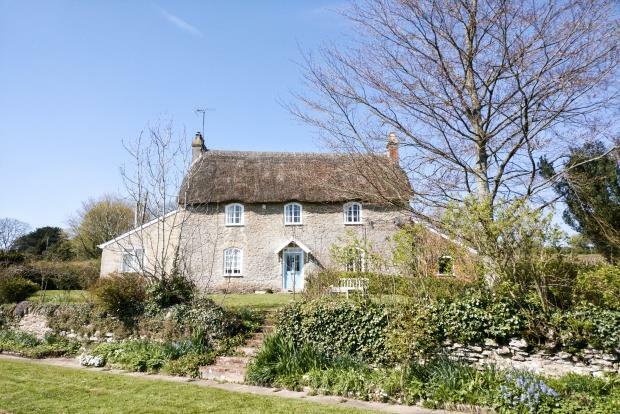 This four bedroom detached thatched cottage is set in a delightful village location just a few miles outside of Yeovil. Recently re decorated offers good family size accommodation on a lovely garden plot in rural location. Features Include: oil fired central heating and parking area for several cars. Pets considered. Front door to entrance hall, downstairs utility room with cloakroom fitted units and shower cubicle, sitting room, living room and seperate dining room, modern fitted kitchen with a range of modern wall and base units, sink unit, electric hob and oven. First floor landing: master bedroom with en suite bathroom, three further bedrooms. shower room. Outside: there is a large enclosed garden surrounding the property. backing field and large parking area to the front. The property is available to view now unfurnished by appointment. Melbury Osmond is a picturesque and charming village situated in West Dorset, approximately 9 miles south west of Sherborne and 15 miles north west of the County Town of Dorchester. The Grade I listed church, St Osmunds, lies at the centre of this thriving village from which beautiful countryside can be explored and enjoyed, and in nearby Yetminster is a reputable Primary School, Post Office, Public House and Village Store. There are mainline train links to London and Bristol from the nearby town of Yeovil.